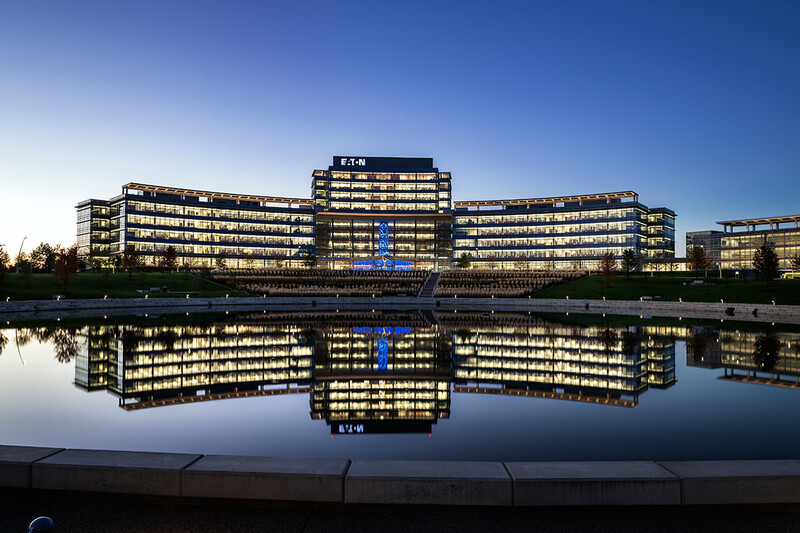 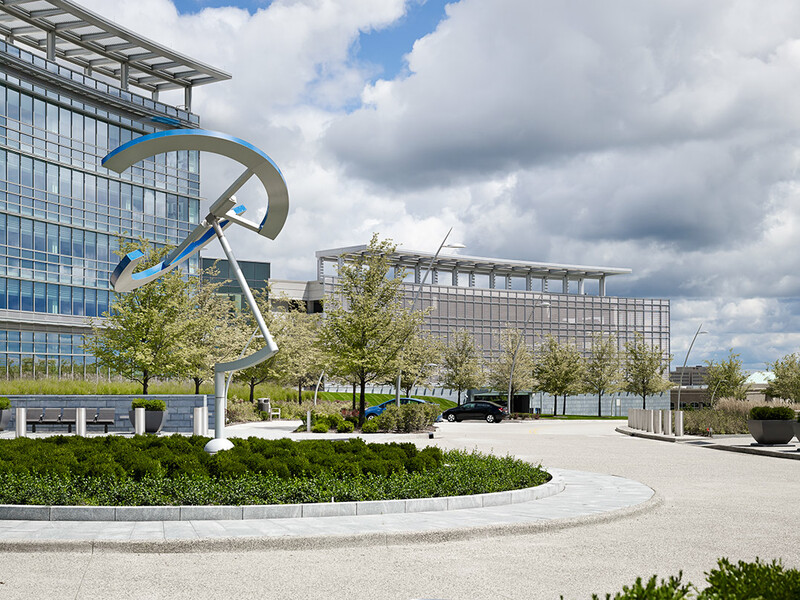 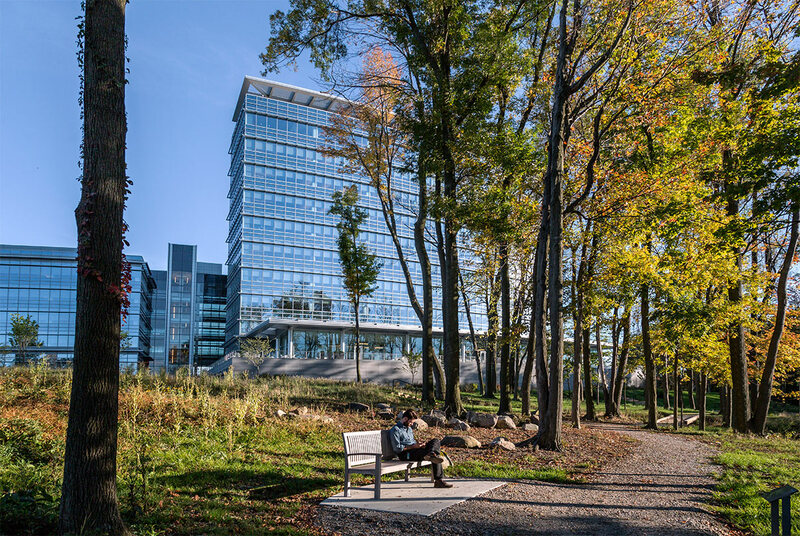 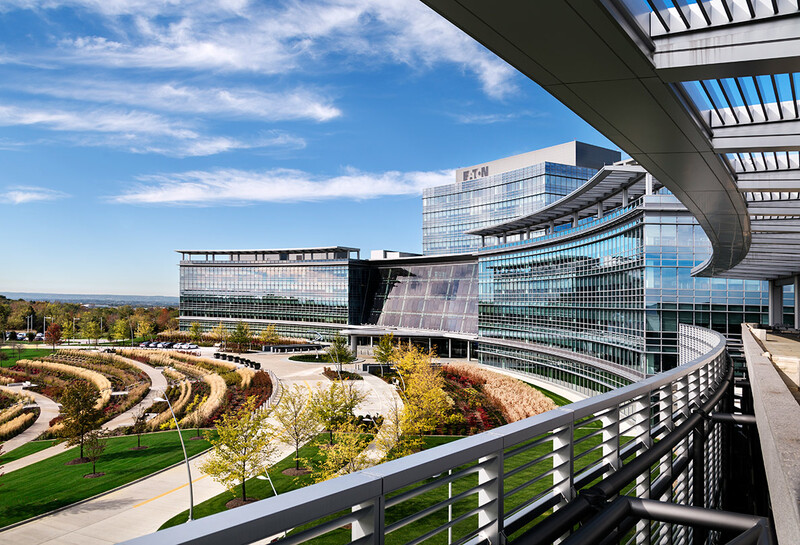 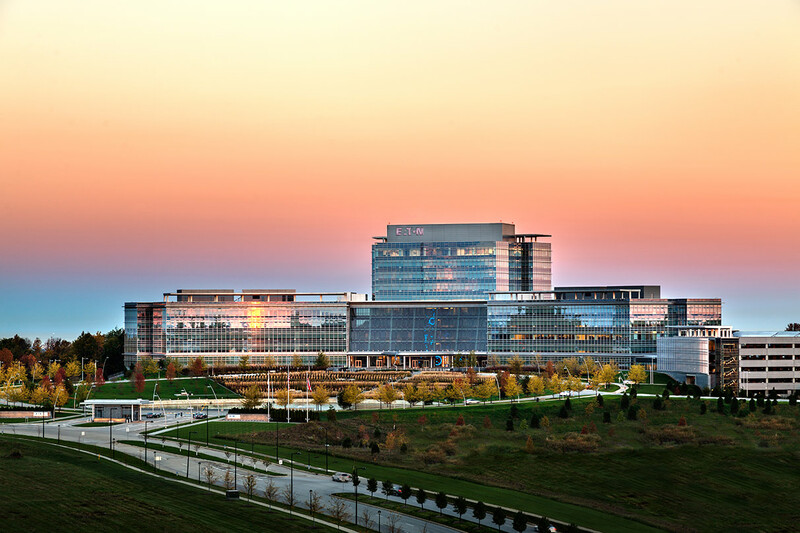 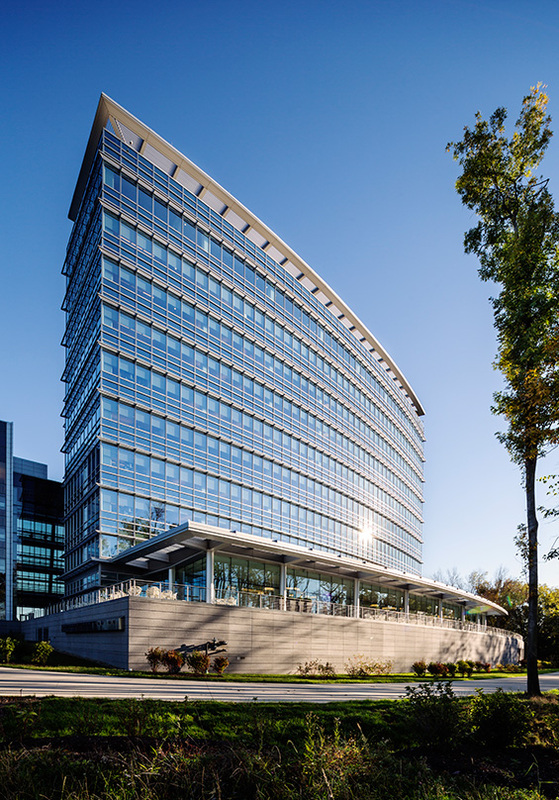 Nestled on the crest of a 53-acre site, Eaton’s new corporate complex in the Cleveland suburb of Beachwood offers employees and visitors panoramic views of the surrounding woodland as well as downtown Cleveland and Lake Erie beyond. 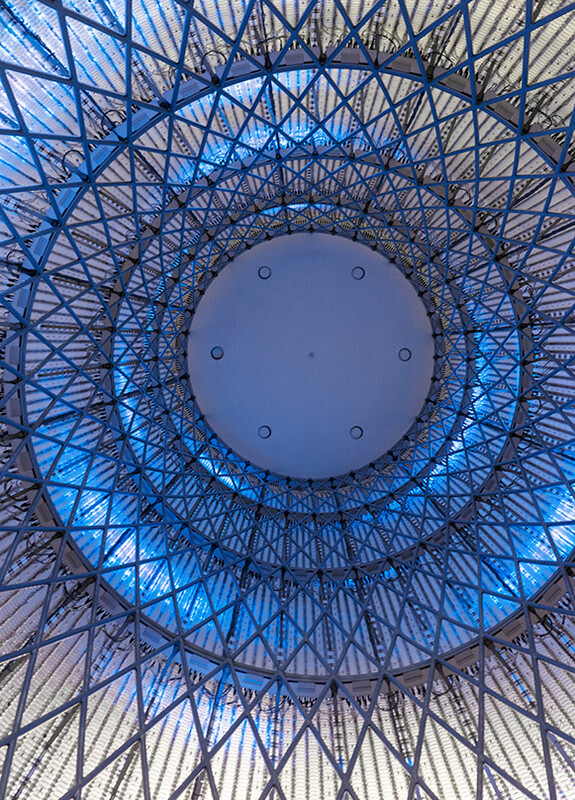 The design is formed by two crescent wings that arc around a central tower overlooking a pond. 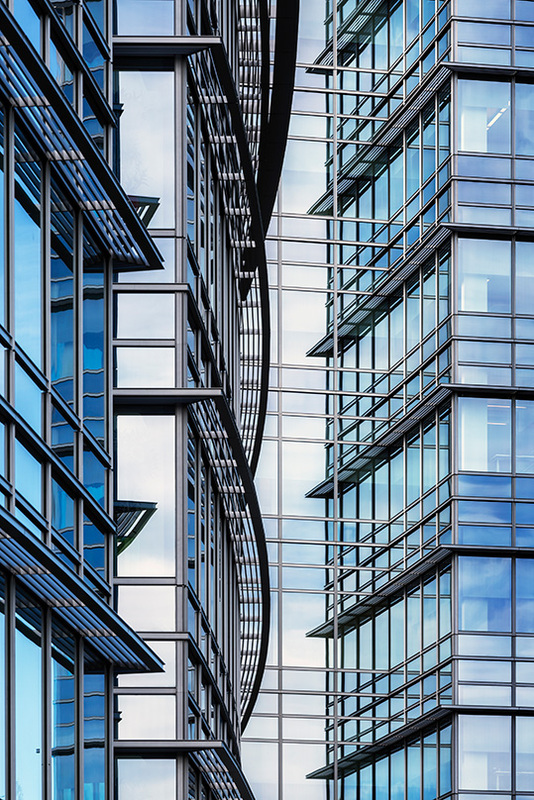 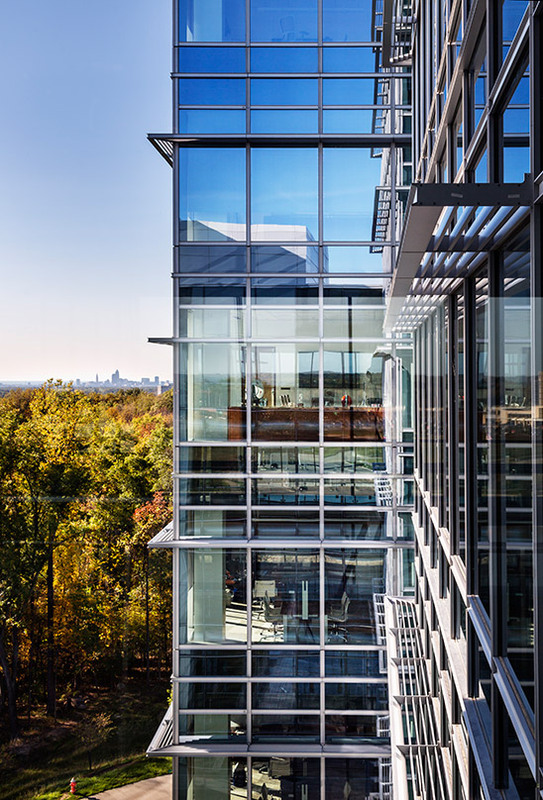 The state-of-the-art office development consolidates employees from three facilities into a single complex and incorporates a wide range of amenities including a wellness center, conference and meeting facilities, an auditorium, cafeteria and walking trails. 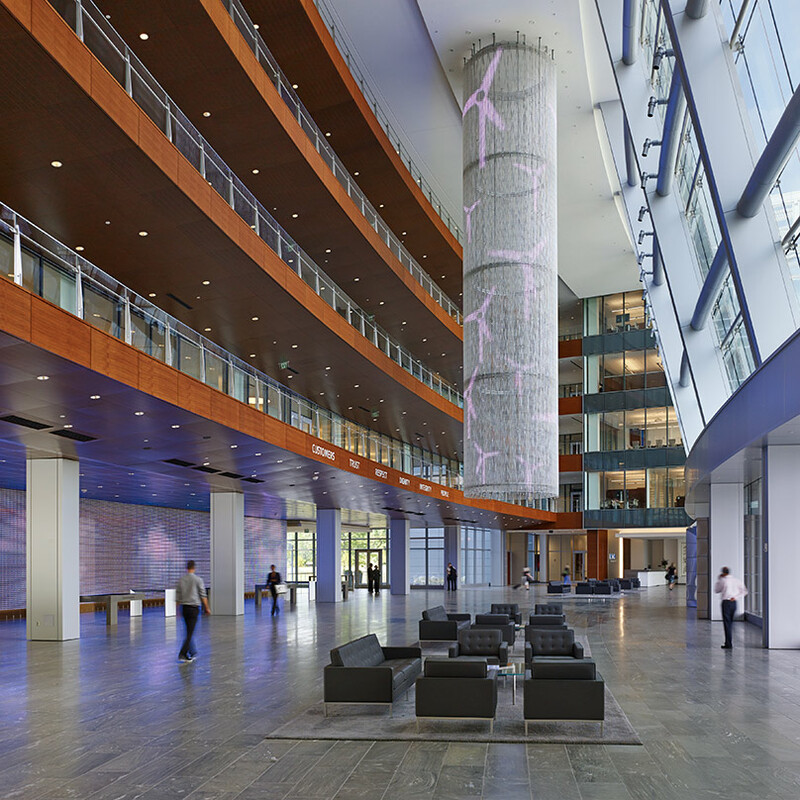 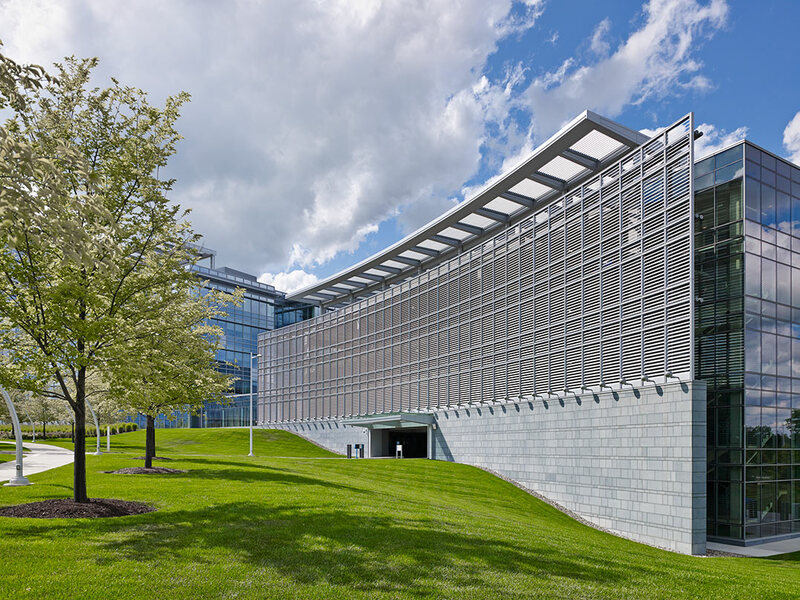 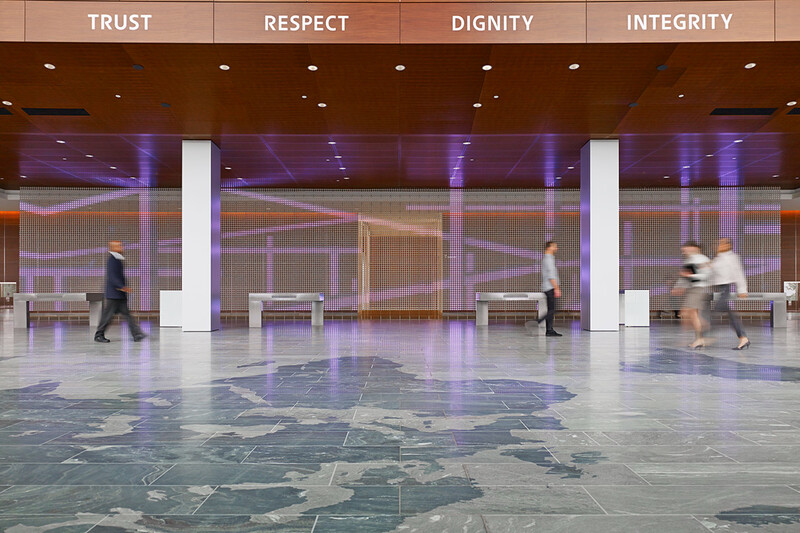 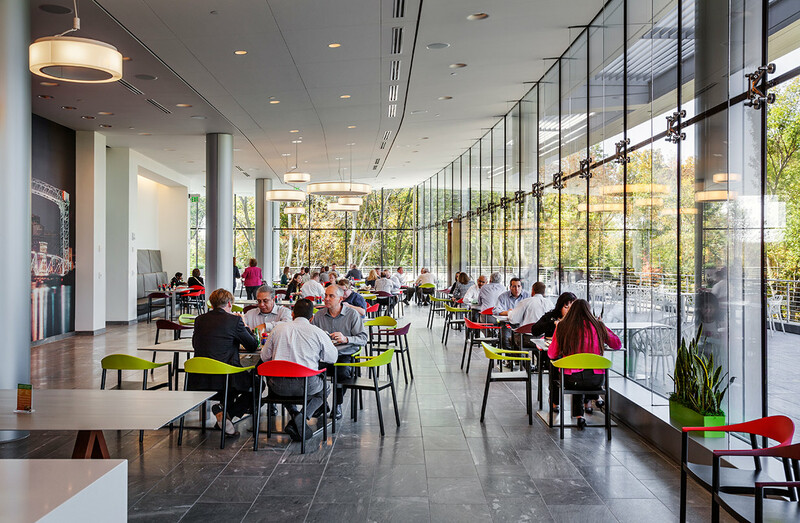 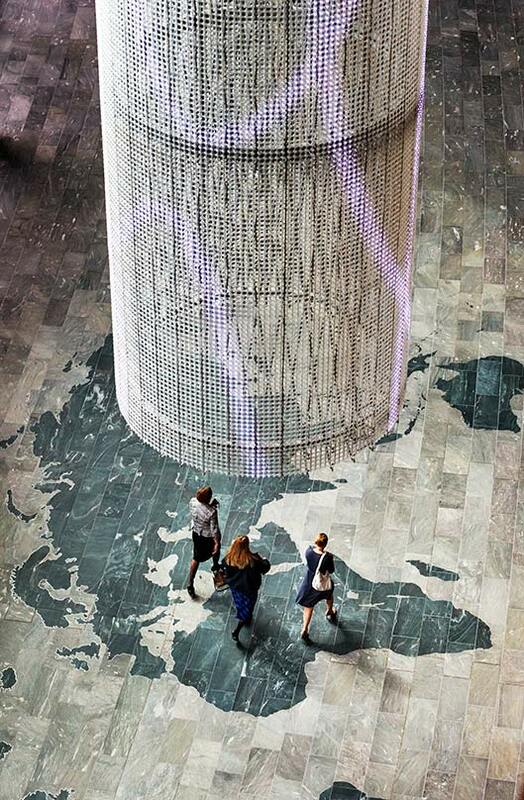 The headquarters design is open with floor-to-ceiling glass creating a daylight-filled work environment that features innovative, sustainable design strategies. 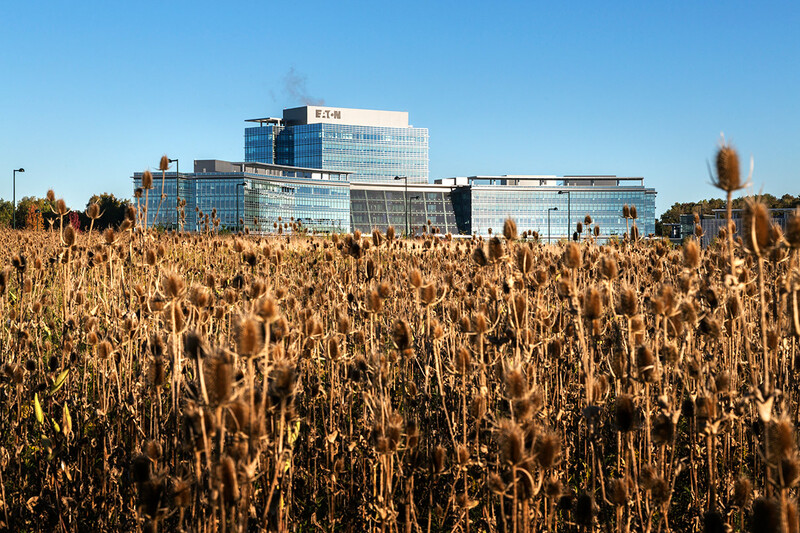 The project underscores Eaton’s commitment to sustainability leadership.